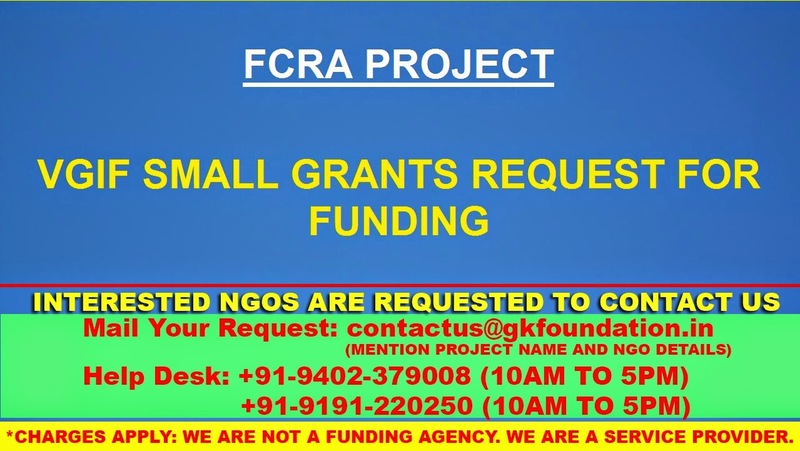 FCRA PROJECT: VGIF SMALL GRANTS REQUEST FOR FUNDING. VGIF provides small grants up to $7,500 USD to grassroots projects that are led by women and that help empower women and girls, in developing countries around the world. Funding for our project grants come from our members’ donations and bequests, and from our investment income. Over the years, VGIF has set up several board-designated funds to address specific challenges faced by women and girls. For more details, see VGIF Funds. Empowering women to make a difference in their lives and communities is helping to change the world. To this end, VGIF has funded over 475 projects in 89 countries since 1969. We support women’s organizations based outside of the United States by providing small grants for an array of community needs up to $7,500 USD. Promoting education in the sciences for girls. Organizations that are governed and directed by women. Religious groups unless the proposed project contributes to the general good of the community. The construction of permanent buildings or the purchase of land. Salaries for board members and permanent staff but may include stipends/honorarium for external resource people/trainers. VGIF will consider inclusion of an amount, not to exceed 10% of the total grant, for administration of the project to the executing organization in the country where the project is located.